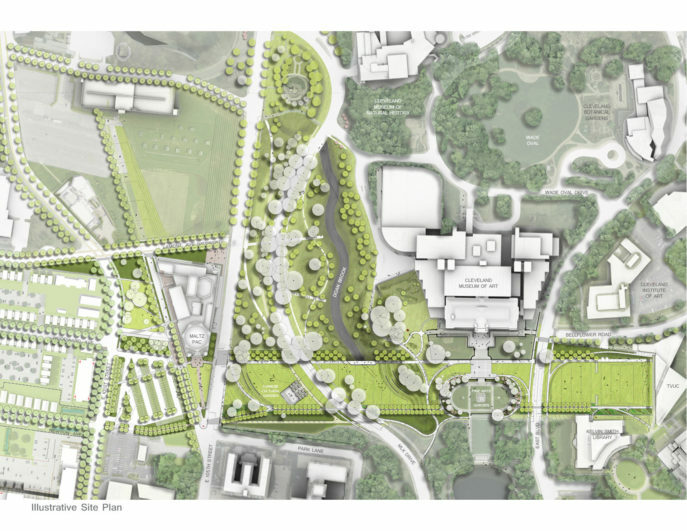 In collaboration with the Cleveland Museum of Art and the Cleveland Foundation, ReThink Advisors organized a national design competition on behalf of CWRU to select the landscape architects for the Nord Family Greenway, one of the main projects to emerge from the CWRU master plan. This east-west greenway connects across the campus as well as opens up the Eds, Meds and Arts district to the wider community. Earlier versions of the design had the greenway bridging over many of the areas the greenway now connects to directly. ReThink was instrumental in guiding the design approach to reflect the priorities as outline by the CWRU master plan. 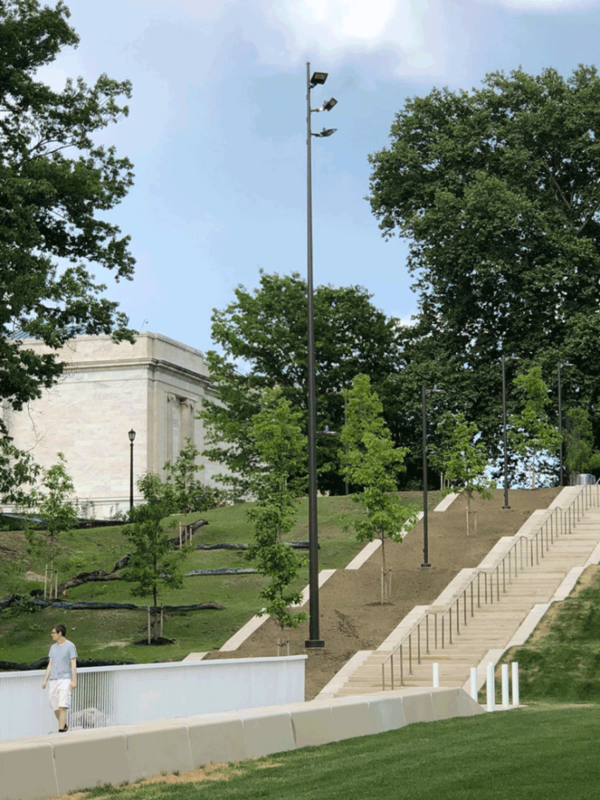 This greenway stretches from CWRU’s new Tinkham Veale University Center, through the northern end of the Cleveland Museum of Art’s Fine Arts Garden, across MLK Drive and up to the Maltz Performing Arts Center. The landscape design by Sasaki Associates also includes an event lawn, an amphitheater with sloped grass steps, a paved walkway and an overlook of Doan Brook. The 430,000 SF commons exemplifies the ideals of connection and community central to CWRU’s 2015 master plan.